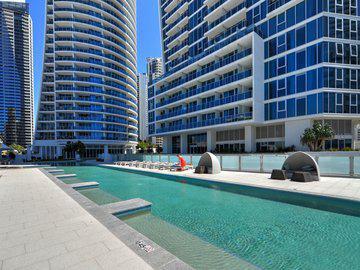 The Oracle Resort is Broadbeach's most iconic address with residential size holiday apartments awaiting your arrival. 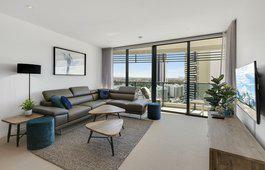 Select from our range of two or three bedroom family friendly, fully self-contained apartments & skyhomes. The resort features superior facilities including outdoor swimming pools, barbecue areas, gymnasium, sauna, teppanyaki grills, calming zen gardens, in house theatre and more. The Oracle is situated just footsteps from the beach, Oasis mall and is surrounded by an array of restaurants, trendy cafes and fashion stores; this truly is the perfect place to base yourself no matter what the occasion for your Gold Coast visit. 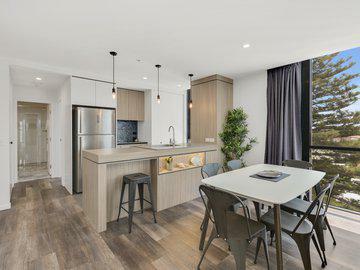 Our 2 Bedroom Superior Apartment is a unique, one of a kind apartment that has been professionally redesigned for luxury. There are no others like it. Everything was seamless and exactly as described. Facilities were of the best quality and location can’t be beaten. Will definitely book again! Amazing location (loved all the nearby restaurants as well!!!). The view from the apartment made it a little difficult to leave. Spectacular. 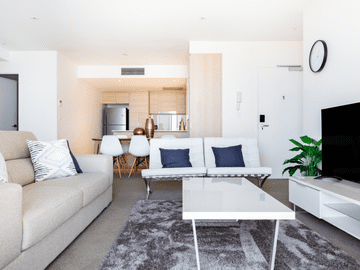 I recently stayed four nights along with my wife and four children in the three bedroom, courtyard apartment at the Oracle, in the centre of Broadbeach. We were very impressed from the minute we walked in! The apartment was very clean, comfortable, well appointed and beautifully furnished. The bedrooms and living areas were spacious and the beds were very comfortable. The free Wi-Fi was also a big hit, especially with the kids. There are plenty of amazing restaurants and cafes to enjoy, all within a very close walking distance. We had full use of the Oracle swimming pool, gym and sauna which were located only metres from our door. 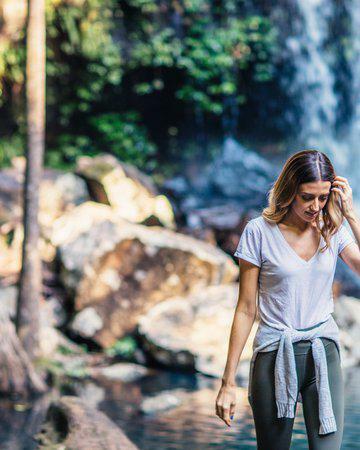 We loved every minute of our stay and we will definitely book through Gold Coast Luxury Resorts again for our next getaway. Great resort. Very clean and fantastic location close to the beach, shops and great restaurant's. Highly recommended. Very modern, upmarket, clean accommodation. Very close to beach, bars, shops and restaurants. Very spacious apartments. Would definitely recommend this accommodation. LUXURY, STYLE, COMFORT, SERVICE All your needs and wants met whilst on holidays. Our week away was completely managed so beautifully by GCLR.. We had everything at our fingertips from a luxurious stay to a fantastic location which was so central to the beach, shopping outlets and lots more..children thoroughly enjoyed !! thanks to the experts at GCLR.. HIGHLY RECOMMEND GCLR .. Can't wait to go back !!! Have stayed at Oracle a number of times. Highly recommend. Great location, close to beach, restaurants and shopping. Rooms are clean, modern and staff helpful. Great accomadation very clean and in walking distance for everything you need. Such a lovely apartment and the staff are just so awesome. Had a wonderful stay at The Oracle in early October 2016. Apartment was amazing, check in was easy (just got the keys from the lock box as arrived late) and whole family had a great holiday. It was the 3rd time I've used Gold Coast Luxury Resorts for my accommodation and will again for our next visit. Our experience was very good. We were a bit tired when we arrived but the girls at the Check-in were very helpful and efficient. 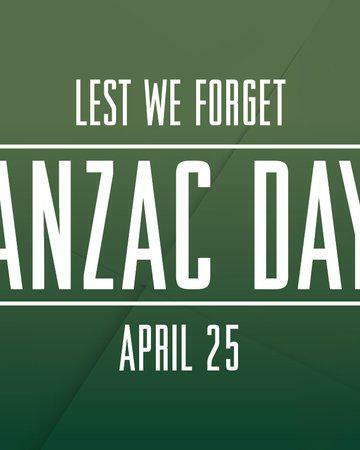 The apartment was clean and well presented and good value. The view was great which is always important. Will definitely book with you again in the future. 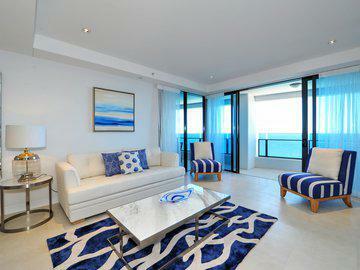 We recently stayed at the Oracle Resort in a two bedroom apartment on the 34th floor. The apartment was clean and well maintained. It was spacious with two bathrooms and stunning views of the ocean. The outside balcony was large with seating area for six people. The check in and checkout process was really easy and we had full use of all facilities. 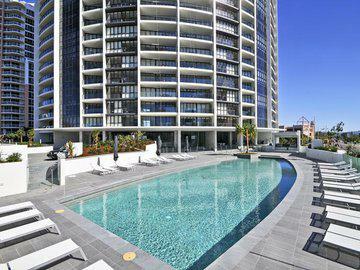 Would highly recommend this property and will definitely use GCRP again when we travel to Gold Coast. 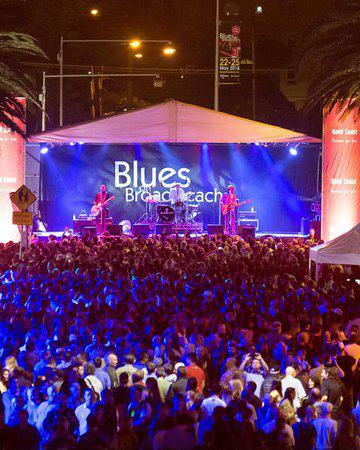 Had a fantastic time during a recent trip to Broadbeach staying at the Oracle. Stunning views and great location. The 2bdrm ocean view room was roomy and had everything needed for a comfortable stay. Would definitely stay again..
We very much enjoyed our stay at the Oracle. My two kids loved the heated pools and being close to the beach. With an abundance of restaurants and Woolworths just across the road, our stay was very relaxing. We will definitely choose to stay here again. The Oracle property and unit were faultless. The room was Tower 1, direct Ocean facing and was well equipped and very clean and very well furnished. The décor was modern and comfortable and quite possibly one of the most comfortable beds I've ever slept in. Great value, Fantastic location and the service and information provided by GC Luxury Resorts was Perfect. Will stay here again. Loved, loved, loved staying here! Would highly recommend it and would stay here again. 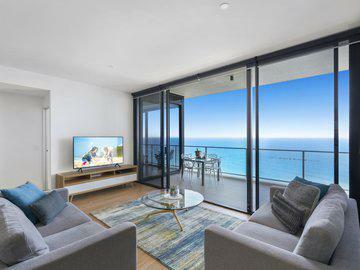 Beautifully positioned and great apartment layout with a gorgeous view. Loved our stay here. 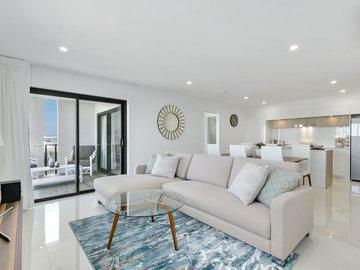 Amazing views, great location a stones throw from the beach and great pools on site, plenty of choice for cafes and restaurants right down stairs. Nicely decorated apartment with very tasteful furnishings. We will be back. Great apartment on the end .Great views.Front tower level 11. But no sun,if you would like north facing.Walk to supermarket , restaurants and bars. Clean and Tidy. Very spacious and great location. 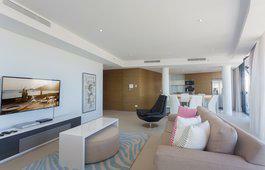 We just wanted to pass on how delighted we were with our stay in Apartment 1001 at The Oracle from 17 â 27 December. Thanks for your prompt reply to my somewhat panicked after hours phone call shortly after landing at Coolangatta after no sms arrived to give me the lock box combination! A great relief to hear from you so quickly while on the bus from the airport! 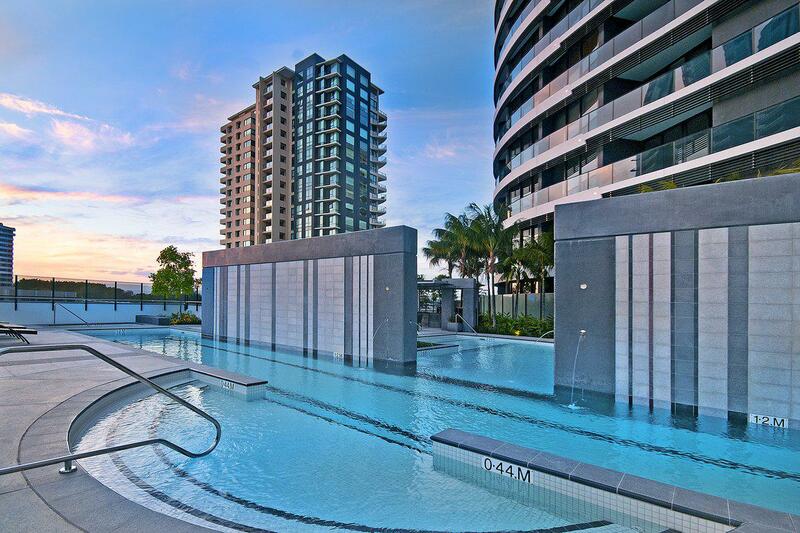 We were just blown away from the start with the cleanliness, the view, the facilities and the fact that we could look down at the pool and tell instantly whether it was a good time for a swim! Being out on the balcony and either reading or simply gazing at the view was amazing, also the location was perfectâ so close to everything and overall we could not have asked for more. Having the afternoon sun was also a massive bonus! We will certainly be back, we are saving already! We have wonderful memories of our holiday. 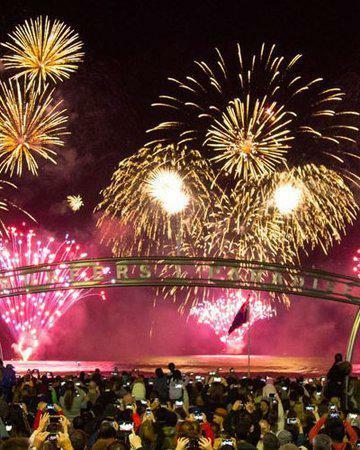 The location is superb. Walk everywhere - surrounded by 1st class restuarants and short walk to the beach, Only issues were the fact that one of the lifts was out of order for the entire week we were there - which caused very frustrating delays getting to and from our apartment. Also the fact that there is no internet access unless you pre arrange to hire a modem and then go and buy data from somewhere like a 7/11 store. The apartment itself was very good. 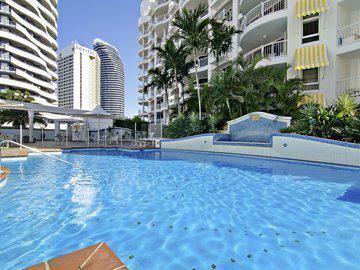 We loved staying at the Oracle so much on our annual trip to the Gold Coast that we now only stay in this resort.. The facilities are wonderful and the rooms are very modern and clean. 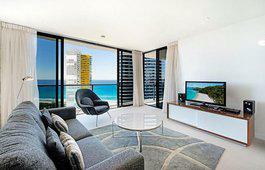 *Private apartments at Oracle Resort & are not associated with the onsite managers Peppers Broadbeach. All reservations are managed by a licensed real estate agent. *Please note Gold Coast Luxury Resorts manage Deluxe, Premium, Premium City & Sub Penthouse apartments in tower 1 & tower 2 at the Oracle Resort, there is no guarantee of a particular tower, level, layout, furnishing or aspect. Each tower has its own facilities for exclusive use for guests staying in each tower. Images are of different rooms and room types, each room is individually owned and furnished, floor plans, size, aspect, level all differ between each room & room category. Please contact us about your specific needs to ensure the correct room or room category is booked.